Edwards Bros Building Company offers renovation services for the entire home. Whether you’re looking to makeover your kitchen, bathrooms, outdoor space or just update a few rooms, turn to Edwards Bros Building Company. Have a carpentry project at your home that needs the work of a skilled craftsman? 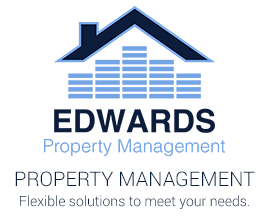 Let the professional team at Edwards Bros Building Company handle it for you. Our Raleigh carpentry contractors offer a full range of services, from major framing projects to minor repairs. We provide carpentry services in Raleigh, Durham, Cary, Chapel Hill and surrounding areas. Call today to discuss your project. Whether you’d like a new hue for your dining room or need your deck stained, look no further than Edwards Bros Building Company. Our Raleigh painters are here to lend a hand for painting projects of all sizes. We’re available 365 days a year to meet your painting and resurfacing needs. As with all our services, the Edwards Bros Building Company team is committed to finishing your painting project on time and within budget. Contact us today to schedule your free home painting estimate. As a local, family owned roofing contractor, Edwards Bros Building Company provides quality roofing repairs, roofing replacement, and roof installation. We understand that the home is often a family’s greatest investment. For this reason, Edwards Bros Building Company provides only the best roofing team, equipment, roofing materials when performing repairs and installations. Completing your project hassle free, on time, and within budget is our Raleigh roofing team’s top priority. Edwards Bros Building Company works with all kinds of siding, including vinyl, fiber cement, wood and more. Our Raleigh siding team is committed to increasing your home’s curb appeal with siding repair and replacement. From minor siding repairs to new siding installations, make Edwards Bros Building Company your one-stop resource. We provide siding services to homeowners in Raleigh, Durham, Cary, and across the Triangle. Walls are obviously an important structural and cosmetic component of our homes. That’s why when it comes time for a drywall repair or new drywall installation, you want to make sure it gets done right. When you need experienced drywall contractors, call Edwards Bros Building Company. We’re available 365 days a year to fix drywall and provide any installation or replacement services you may need. 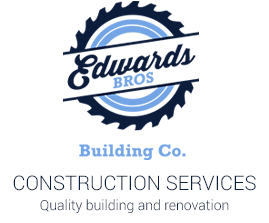 Whether you need a hole patched or drywall installation for a new home addition, count on Edwards Bros Building Company. Our team serves homeowners in Raleigh and across the Triangle, taking pride to complete each project on time and within budget. Get more out of your outdoor space with a new porch or deck. At Edwards Bros Building Company, our home remodeling services include deck construction and renovation. You can count on our skilled, contractors to deliver reliable service and results you will enjoy for years to come. A new deck creates more usable space for your home, extending your living space beyond the walls of your house. Our Raleigh, NC deck construction team takes great care from concept to completion, ensuring that the porch we create fits your needs perfectly. As with all our services, we’re committed to finishing your new deck on time and within budget. Call Edwards Bros Building Company for your fencing contractor needs. When you’re in the market gutter installation, gutter replacement, gutter repair, or gutter cleaning services, call Edwards Bros Building Company. Make the smart decision to add properly installed gutters to your home to help prevent wood rot and reduce mildew. 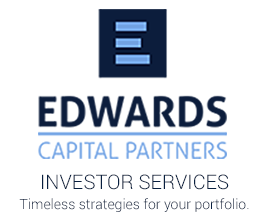 Let Edwards Bros Building Company help you protect your home investment with proper drainage, downspouts, water proofing and gutter maintenance. The exterior of your home or office is susceptible to mildew, fungus, bugs, spider webs and other environmental elements. It is important to maintain property on an annual basis to protect and extend the life of your investment. Refresh your home today with an Edwards Bros Building Company power wash.
We offer home power washing services and much more. 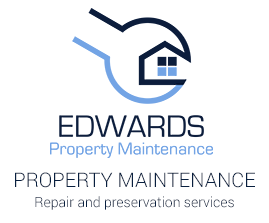 Call Edwards Bros Building Company for everything from graffiti clean up to wood restoration, driveway power washing to zero-pressure roof cleaning. Our Raleigh power washing pros have the equipment and skill to get the job done right. No matter where your next renovation project begins, make sure its ends with the team at Edwards Bros Building Company.